Patio & Things | Outdoor Spaces – The Forest Armchair – Janus et Cie. Outdoor Spaces – The Forest Armchair – Janus et Cie.
Add a graphic element to our outdoor space (and cast some cool shadows) with the Forest Armchair from Janus et Cie. Made of die cast and tubular aluminum, all this chair requires after a raining day is a quick wipe off. 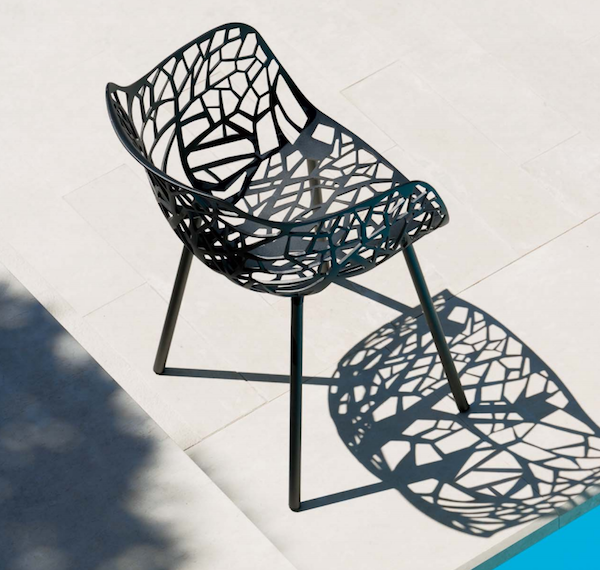 In general, Janus et Cie has fabulous outdoor furniture options. 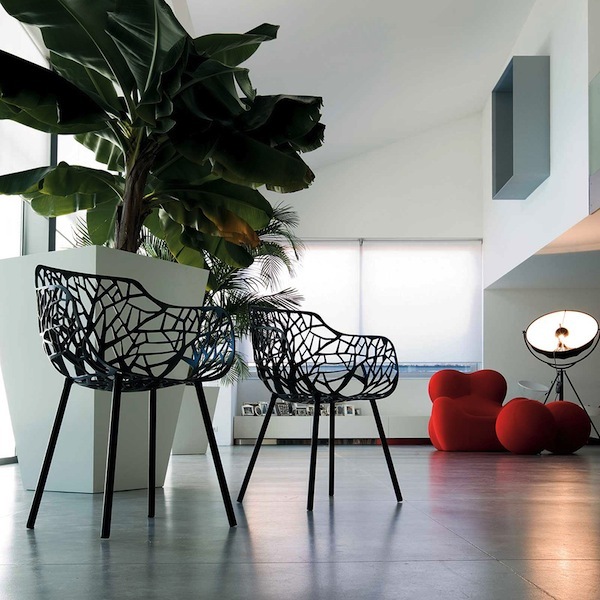 Learn more about Janus et Cie in Florida by contacting us and or visiting our showroom in Miami to experience Janus et Cie and our other patio furniture lines in Coral Gables, Miami.